The second cloud computing type is platform-as-a-service (PaaS) which gives developers the tools to build and host web applications. PaaS is designed to give users access to the components they require to quickly develop and operate web or mobile applications over the Internet, without worrying about setting up or managing the underlying infrastructure of servers, storage, networks and databases. Platforms as a service remove the need for organizations to manage the underlying infrastructure (usually hardware and operating systems) and allow you to focus on the deployment and management of your applications. 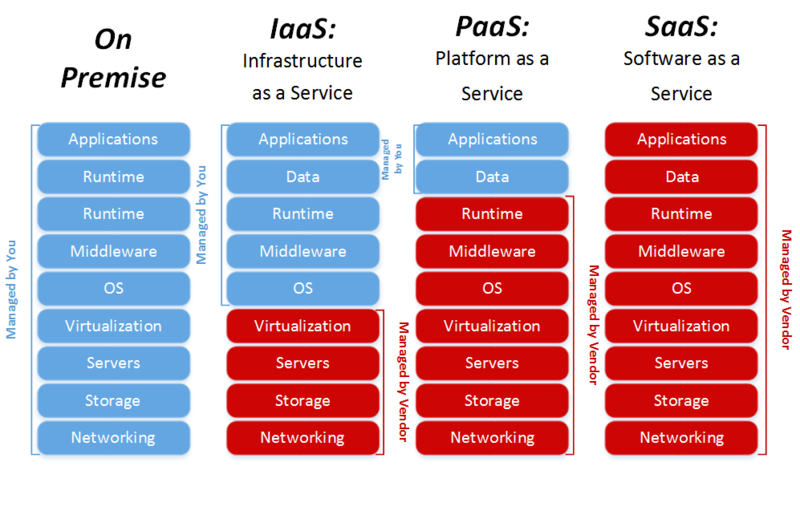 Below picture shows all three types of cloud computing categorized based on cloud computing service model. Development framework PaaS provides a framework that developers can build upon to develop or customise cloud-based applications. Similar to the way you create an Excel macro, PaaS lets developers create applications using built-in software components. Cloud features such as scalability, high-availability and multi-tenant capability are included, reducing the amount of coding that developers must do. Analytics or business intelligence Tools provided as a service with PaaS allow organisations to analyse and mine their data, finding insights and patterns and predicting outcomes to improve forecasting, product design decisions, investment returns and other business decisions. Additional services PaaS providers may offer other services that enhance applications, such as workflow, directory, security and scheduling. Cut coding time PaaS development tools can cut the time it takes to code new apps with pre-coded application components built into the platform, such as workflow, directory services, security features, search and so on. Add development capabilities without adding staff Platform as a Service components can give your development team new capabilities without your needing to add staff having the required skills. Develop for multiple platforms—including mobile—more easily Some service providers give you development options for multiple platforms, such as computers, mobile devices and browsers making cross-platform apps quicker and easier to develop. Use sophisticated tools affordably A pay-as-you-go model makes it possible for individuals or organisations to use sophisticated development software and business intelligence and analytics tools that they could not afford to purchase outright. Support geographically distributed development teams Because the development environment is accessed over the Internet, development teams can work together on projects even when team members are in remote locations. Efficiently manage the application lifecycle PaaS provides all of the capabilities that you need to support the complete web application lifecycle: building, testing, deploying, managing and updating within the same integrated environment.